Minimum age 18 years. Certified PADI Advanced Open Water Diver. Take the next step and become a Dive Professional. Bedouin Diver Dahab offer internship training, working towards a Divemaster certification at the end. Ideally, the suitable candidate(s) will be certified as PADI Rescue Diver but we would certainly consider someone with less experience. 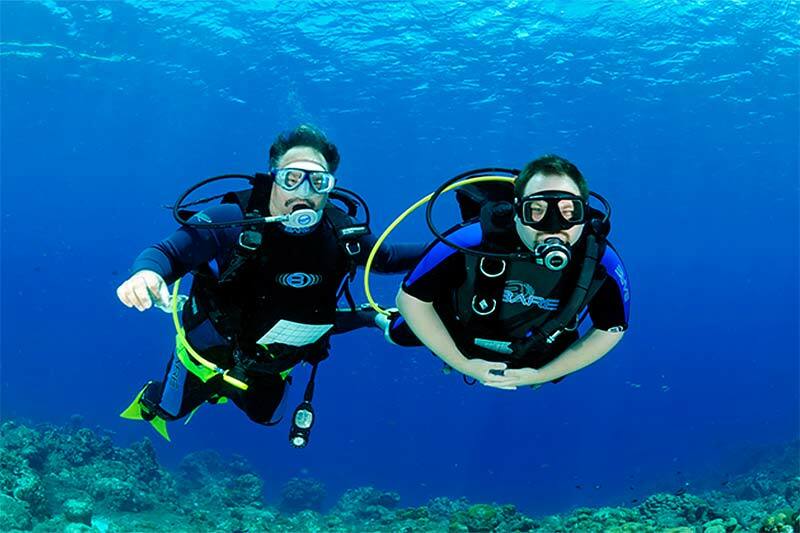 The curriculum for Divemaster training is performance based and therefore the length of time required to complete the program is based on your personal development. During the course you will learn dive leadership through classroom and independent study sessions, complete water skills and stamina exercises in confined and open water, participate in training exercises to test organisational and problem solving abilities as well as a series of practical training exercises. Give dive briefings for certified divers. Guide and supervise certified divers. Supervise training activities. Conduct scuba reviews. Conduct skin diver courses. Assist in Discover Scuba programs. Lead dives for Discover Scuba divers. Live the Dream. Work your way around the world. Want to become a Divmaster?